Salary is important, but it's gradually taking a back-seat to something much grander – something we like to call Epic Meaning. Most of you spend a good 8 hours per day at work. When you’re not doing the actual work, you’re planning what you’re going to do and working out how you’re going to do it – but how often do you stop and ask yourself why? Of course, somebody has to put bread on the table, but salary is gradually taking a back-seat to something much grander – something we like to call “Epic Meaning”. In a recent study , it was discovered that half of Millennials would take a pay cut tomorrow if they found a job that matched their values. This highlights the mindset of the next generation of employees – a demographic that will make up 75% of the entire global workforce within the next decade . It’s not enough anymore to try to buy commitment from employees – they need to believe that they’re working towards some higher purpose. This is the very essence of “Epic Meaning” according to Growth Engineering, but let’s hear a few more interpretations. As far as we’re concerned, Yu-kai Chou  is one of the good guys. As one of the foremost authorities on gamification, he knows the difference between tacked-on game mechanics and holistic gamified projects. 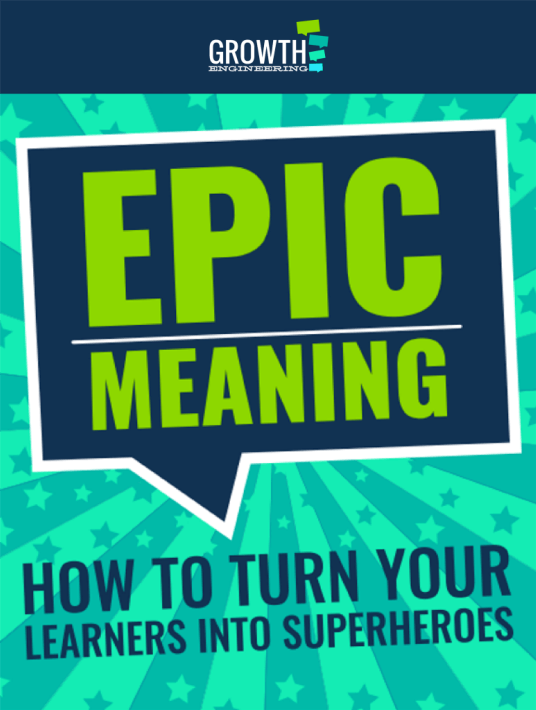 That might sound ambitious, but if you want to have some truly epic wins, you need to be powered by Epic Meaning. When he tried to apply the input, process, output formula to Epic Meaning, it wasn’t quite as easy as he expected. Now, Andrzej thinks that Epic Meaning might not even be a game mechanic at all: it’s just too… epic! 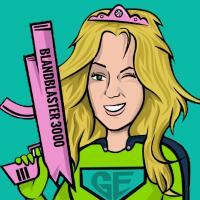 We recently interviewed An Coppens , the Chief Game Changer at Gamification Nation Ltd. and we weren’t surprised to learn that she had plenty of insight into Epic Meaning. With her experience in employee and learner engagement, we were particularly interested in her views about how Epic Meaning communicates the goals of the organisation. If you want to catch the whole interview, stay tuned to GETV! A Good Day’s Work – Epic Meaning Redefined? As we’ve examined meaning and purpose in working life, we’ve come to realise something. Sure, the workforce of today wants to believe that their input has a real impact on the success of the business, but true Epic Meaning needs to extend beyond the confines of the organisation. The vision and values of the business should underpin the Epic Meaning, and if the employees can’t agree with this core, they’ll never fully buy into the mission. In a report by Penna entitled ‘A Good Day’s Work’, it was proposed that ‘Good Work’ isn’t an individual, organisational, or societal issue – it’s a combination of all three. We have to wonder if these businesses would have arrived at such a conclusion if they weren’t trying to solve an employee engagement problem. In this way, the demands of the learner dictate the direction of the business – what the individual learner does has an actual impact on the bigger picture. That, dear reader, is the definition of Epic Meaning. If you want to improve engagement in your training programme, download our free eBookEpic Meaning: How To Turn Your Learners Into Superheroes.